Two years ago, Dan Saladino reported on life-changing food projects from the Mad Symposium. He follows up on how those projects have grown and spread around the world. From the guerilla gardener Ron Finley in South Central LA fighting the law to grow vegetables to the project training children in Brazilian favelas to train as chefs, Dan Saladino has shared some inspiring and life changing food projects shared at the MAD symposium in Copenhagen in 2014. But what's happened since then? He wants to hear what those projects have gone on to achieve. MAD (the word for food in Danish) was founded by the celebrated chef of the restaurant Noma, Rene Redzepi. In his own words, it's curated by a group of "chefs, waiters, a former banker and an anthropologist". To some it's a festival of ideas, to others it's like listening to a "food mix tape", over two days an audience of 600 chefs, writers and food obsessives hear a series of presentations about cooking, restaurants, food history and activism. But that was just the start. Ron Finley, a gardener from Los Angeles was prosecuted for growing food in a patch of land in front of his house. He took on the authorities and changed the law. His story has inspired people all over the world. 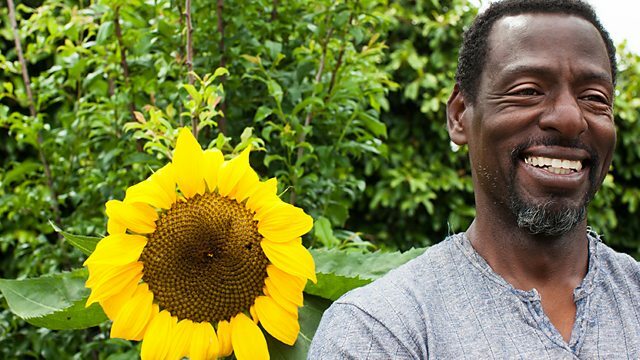 Now his story has been made into an award-winning feature film, showing how other gardeners in South Central LA - gang-members Spicey and Kenya, 9 year old Quimonie and a man just released from a 30 year prison term are changing their lives simply by growing food. Meanwhile FruitaFeia, a Portuguese project to save ugly fruit from going to waste, has 2000 people on their waiting list and is looking to expand while GustoMovida, the Brazilian project training disadvantaged young people is preparing for the Olympics. GastroMotiva is an organisation aiming to transform the lives of socially vulnerable people through food. For more information on how they are doing this, click here. The Fruta Feia project is working to reduce food waste and change consumer’s relationships with ‘ugly’ fruits and vegetables. Click here to find out more about how the Mad Symposium encourage a ‘better meal'. And hear the Food Programme’s previous broadcast of Mad2014.